African American hair has specific needs to sustain and manage it in either its natural or chemically relaxed state. One of the most basic and beneficial elements to remember when caring for the distinctive texture of black hair is the importance of moisture.The regular use of haircare products that provide moisture to your hair is a sure way to nourish it and aid it in growing and staying healthy. Coconut oil provides the type of moisturizer and nourishment that black hair needs. Black hair is often compromised by its natural lack of moisture and inability to hold onto the moisture that it is given. Moisture needs to penetrate deep into the hair shaft, and finding products to effectively do that can be a challenge for the curly texture of black hair. Coconut oil is a natural treasure for black hair because it is a highly effective moisturizer, locking in moisture deep at the hair shaft. Coconut oil is a plant-based oil extracted from the kernel of the coconut with a high concentration of saturated fatty acids, lauric acid, capric acid and vitamins E and K. In its natural unprocessed state, coconut oil has a high moisture-retaining capacity and does not break down or evaporate easily when it is applied to the hair and penetrates the hair shaft. This is highly beneficial to black hair that is challenged by its inability to easily consume and retain moisture. Coconut oil’s high concentration of fatty acids also nourishes hair with protein that produces strong and long, soft and shiny hair. 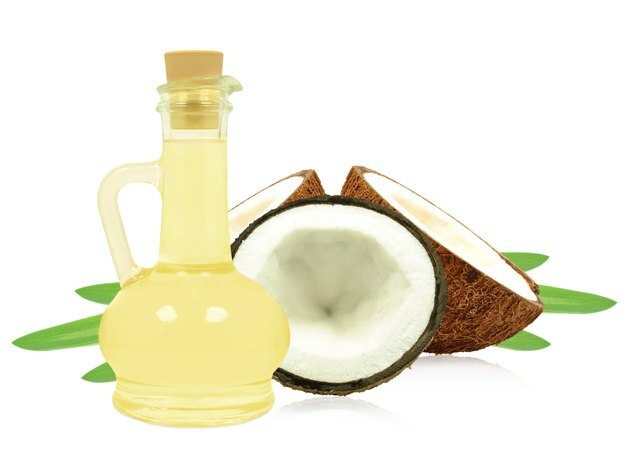 In addition to preventing dryness and dullness, coconut oil also reduces split ends, thinning and dandruff, which are other common problems for black hair. As a daily moisturizer, coconut oil can be used on wet or dry, natural or processed hair. Applying coconut oil to the hair shaft and ends leaves hair soft, shiny and smelling like the mild delicious smell of coconuts. Coconut oil can also be massaged into the scalp to stimulate the roots and hair follicles, which promotes hair growth. Coconut oil shampoo provides gentle cleansing without stripping the hair of its natural oils. It moisturizes without coating the hair with unnatural ingredients and stimulates the hair, scalp and follicles without clogging and causing hair loss. When purchasing your shampoo, make sure that the main ingredient is coconut oil; there are products on the market that are advertised as coconut oil but actually contain very little of the oil itself. You can also choose to make your own shampoo or add a few drops of coconut oil to your existing shampoo. Deep conditioning is a necessary component of caring for black hair, providing an intense amount of moisture and relief to dry, dull and often brittle hair. Using coconut oil to deep condition may strengthen hair from inside the shaft. It is also an effective treatment for dandruff caused by either hair dryness or fungal or bacteria properties. Curly Nikki: Coconut Oil Penetrates Hair!